We aren't going to Texas anytime soon that I know off. Too bad, as I always enjoyed my trips to Dallas/Ft. Worth. This photos was taken Fourth of July weekend in 1993. We were at my parents vacation condo. If I hadn't written the date on the back, I would have just assumed it was any ordinary weekend there. This one was special. In May of that year, we moved into our new house - my lifelong dream. In June, Lenny's youngest daughter came for her annual visit and stayed a month. The two of them vacationed in Florida. All was great. Then we found out Lenny was to go to Texas for a 3 month contract. That was longer than normal but workable. So we decided to go to Gatlinburg for the 4th. I'd drive back home after the weekend and he would go on to Texas. I packed his clothes and things for this 3 month contract. When we go to the office, we found out he would be gone for 6 months! I remember being very aggravated that no one had told me because it was a long time and also because I hadn't packed him any winter clothes. Oh, the funny little things you remember. Anyway, the weekend this photo was taken was the last we would have together for several weeks until I could visit him. He returned home a couple of times for visits, too. However, his Mother became ill and died that fall so he spent time in Missouri as well. For the life of me, I can not figure out who took the photo. Amanda must have flown home. I don't remember her going to Gatlinburg with us. It was far too long ago for us to have a camera that did timed photos and we never get one this good on our own even with a digital camera. So I'm stumped but I'm glad I have the photo. I scrapped these events long ago. It is nice to remember them again. 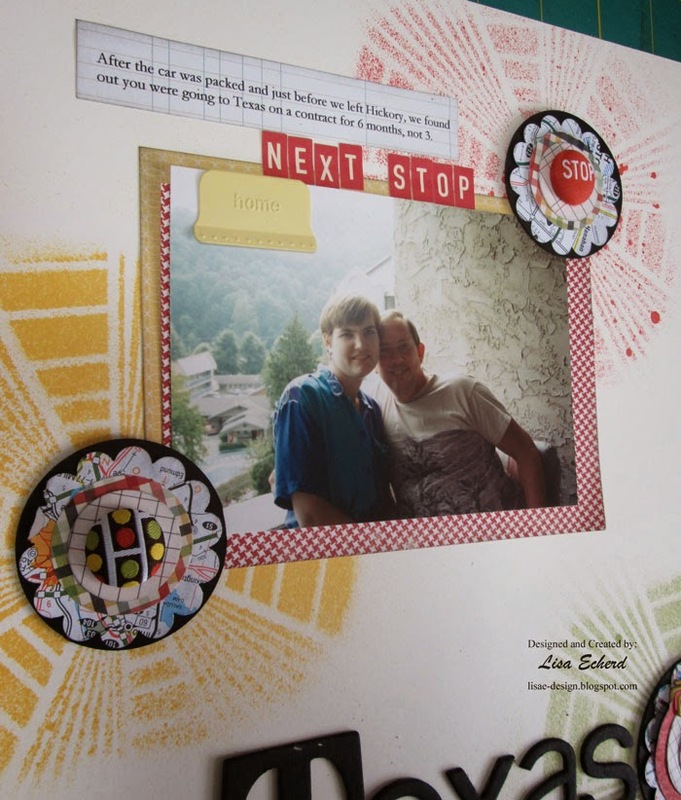 For the page, I used Crafter's Workshop Striped Explosion stencil. I like this design but don't care for the necessary frame around it so I used a mask to cut that part out. The embellishments were ones I'd made up and had in my stash. 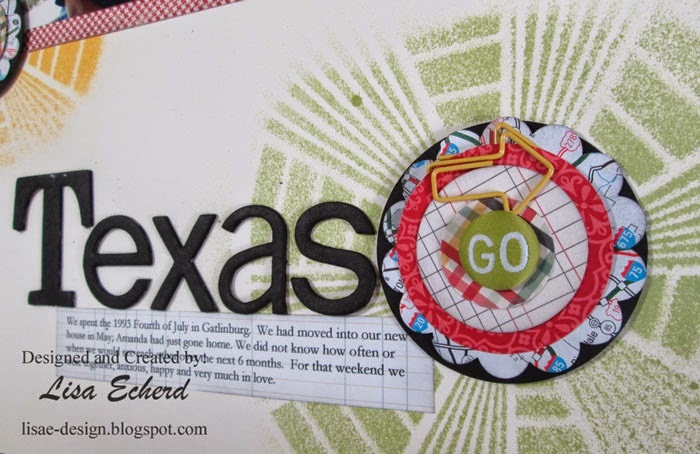 More sketches are in my new class Scrapbooking with Stencils coming in just a few days! More about the class here. 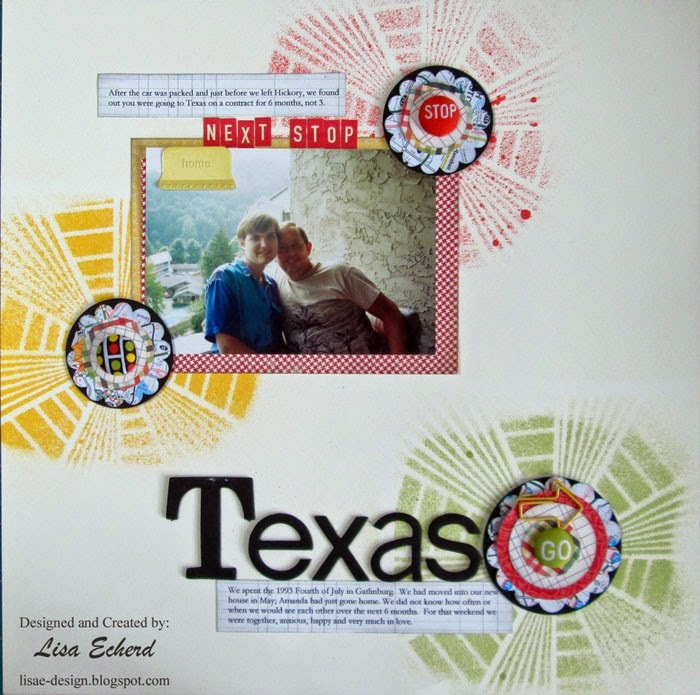 I can't for the life of me remember the name of the class where we used map prints in our embellishments. 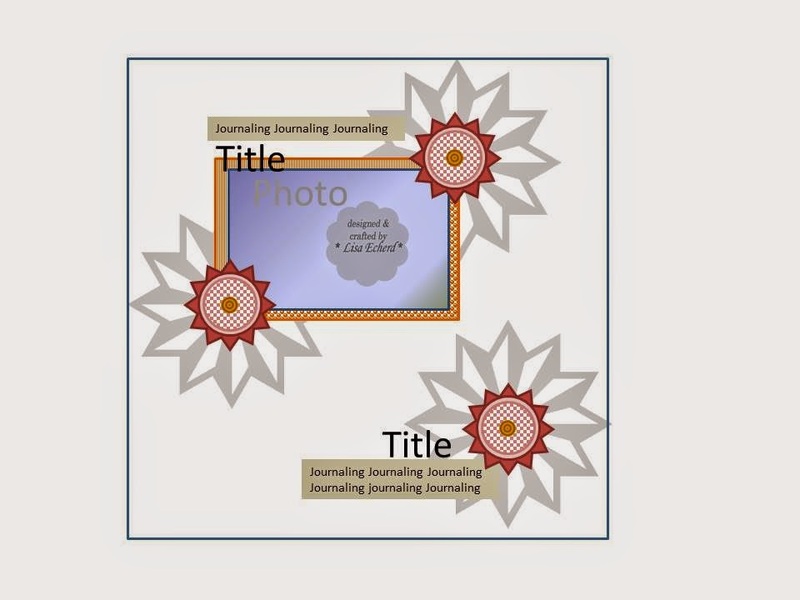 I've taken two Shimelle classes - one on blogging and the other one? I just can't remember. If I think of it, I'll e-mail you. Thanks!